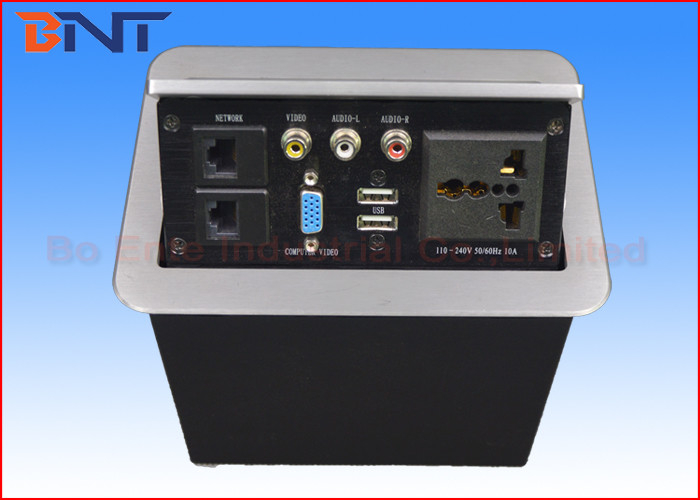 Table pop up socket box is consist of aluminum alloy brushed panel, steel cube box and bottom connection plug plate. The mechanism is using a pneumatic support structure and spring fixed lock. User press the surface panel to release the inside fixed locking, then socket would be pop up via this pneumatic support slowly and smoothly. After using the manual socket box, Just press the panel cover, the Mechanical Locking Device inside the desktop socket will lock the box. The locked connection box is flush with the tabletop and all the connections are hidden dexterously. The neat & elegant topside of the box together with the tabletop form an integrated mass. All cables are connected with bottom connection panel directly, simple to install, very convenient for office conference. 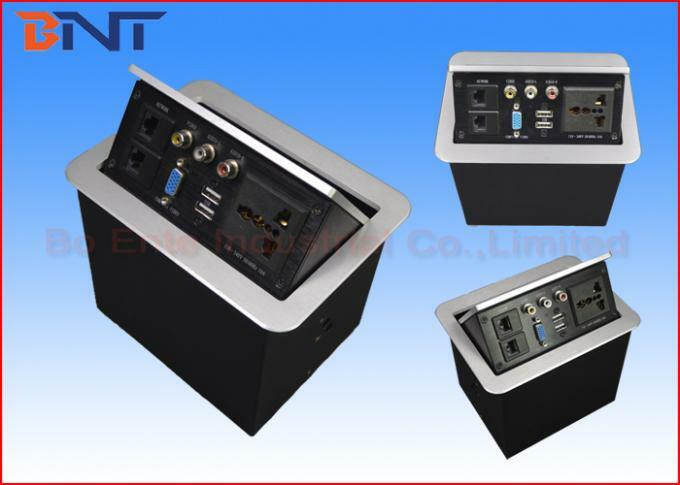 Tabletop mount multi-functional pop up power socket box is widely used on the office table furniture, high class office, and conference room, hotel for AV solutions.